Riley Blake Designs "Small Dots" by Riley Blake Designs. 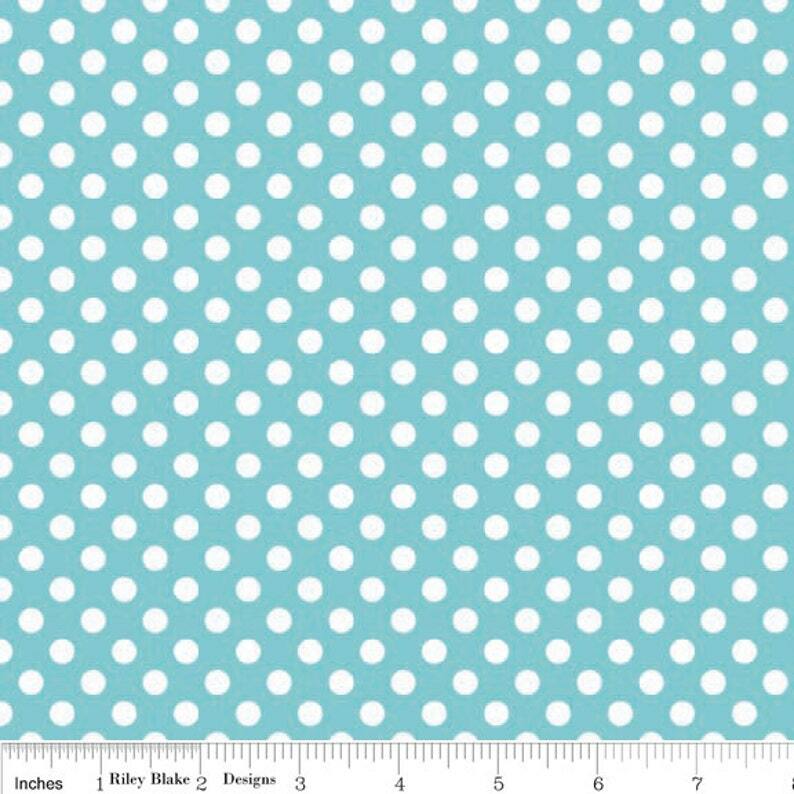 95% Cotton/5% Lycra, 57/58" wide Dots measure 1/4" in diameter. I do refund shipping overages in excess of one dollar, you do not need to request it; I will do it upon shipping your order. In general approximately 7 yards of quilting weight cotton can fit into a legal flat rate priority mail envelope. Knit and minky weigh more and therefore will not fit as many yards.